Dilgo Khyentse Rinpoche – one of the most amazing masters of modern Buddhist teachings. He was born in 1910 in eastern Tibet, in a family holding the legacy of the great Tibetan king Trisong Detsen responsible for spreading the Dharma teachings in the ninth century. When Dilgo Khyentse was still in the womb, he was considered a tulku by the great teacher, Mipham Rinpoche. He was later enthroned as the emanation of Jamyang Khyentse Wangpo, one of the most important tertons – or seekers of valuable secret teachings – and writers of the nineteenth century. Even as a young boy, young Dilgo Khyentse manifested a strong desire to devote himself completely to spiritual life. Although his father wanted him to follow in his footsteps, he finally agreed to let his son pursue his own wishes. As a result, at the age of 11, Rinpoche joined the monastery of Shechen in Kham. 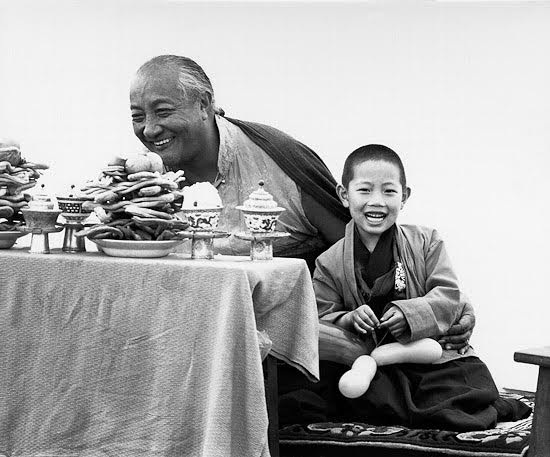 Dilgo Khyentse Rinpoche had many wonderful teachers, from whom he received all the indispensable initiations and instructions of the Nyingma tradition. He spent his youth – aged from 15 to 28 – meditating in isolated hermitages and caves. Often, his only refuge was a rock overhang high in the mountains. After this period, his teacher – Dzongsar Khyentse Chokyi Lodro – instructed him to start teaching and pass on to others valuable teachings he received. Since then, Rinpoche has worked for his students. The hallmark of the Khyen-tse line is the infinite energy with which the teacher transmits teachings. In the late 1950s, Khyentse Rinpoche, his wife Khandro Lhamo and their two daughters, fled Tibet. They were received in Bhutan by the Bhutanese Royal Family. Rinpoche started teaching again, finding a place for himself and his family in a large school near the capital city. Soon, his inner features attracted many students to him. Over the years, he became a leading Buddhist teacher in Bhutan, worshiped by everyone from the king to the humblest farmer. He supervised the care and construction of numerous stupas and statues, performed ceremonies, gave teachings, wrote treatises and texts. Dilgo Khyentse Rinpoche has done a lot of work to establish and maintain temples, monasteries and schools where one can study and practice the Buddhist tradition. One of his last works was the founding of the Shechen Tennyi Dargyeling monastery in Nepal, near the great Stupa Boudanath, where he transplanted the rich tradition of Shechen. It was his wish that the teachings be continued in their authentic purity, as they were studied and practiced in Tibet, and that the traditions of passing on the teachings of philosophy, contemplation and art be upheld. Was one of the six major Nyingma school monasteries in Tibet destroyed by the invasion of China in the 1950’s. In 1989, at the initiative of Dilgo Khyentse Rinpoche, the construction of the Shechen Tennyi Dargyeling Monastery in the Kathmandu Valley began. Unfortunately, the beautiful frescos of the main gompa reflecting the traditions of Buddhism and Dharma were violated during the earthquake in 2015. Renovation of the gompa is currently underway, work is underway to rebuild, renovate and refill the remaining elements of the monastery complex. Shechen Monastery enjoys having one of the largest libraries of Tibetan Buddhist literature in the East. There is also one of the richest collections of rare texts, tanuas and photographs of Tibetan art and culture. The photographs cover over a thousand shots of old monasteries, holy places, portraits of great lamas and original sacred art such as statuettes, tannoys and paintings. They have been accumulated over the last 35 years in Tibet, Bhutan, India and Nepal. The archives also include over 150 hours of video and video from the Tibetan ceremonies, from the cultural life and teachings of great teachers. 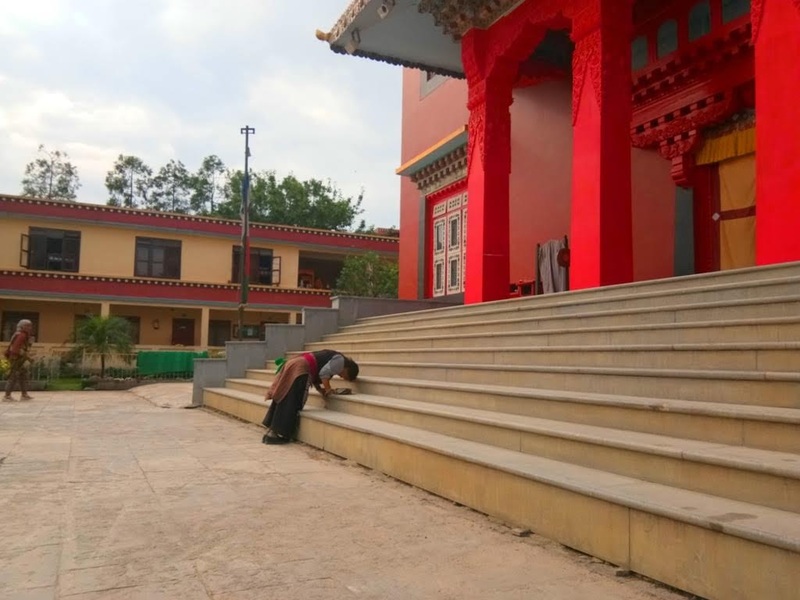 The monastery is now in the care of the seventh Shechen Rabjam Rinpoche, grandson and spiritual heir to the great Dilgo Khyentse Rinpoche who died in 1991. Five hundred monks from the Himalayan regions study in the monastery. In addition to Buddhist rituals and philosophy, their education includes music, dance and painting. In the monastery-controlled primary school, Shechen Mahaboudha Vidyalaya, 135 boys between the ages of five and fourteen have a complete education that combines tradition and modern skills. After graduating from this school, the monks begin a two-year course during which they focus on ritual art – which includes mastering texts, handling musical instruments and practices of ritual dances and songs. Every summer, the monks participate in yarney’s summer retreat. This tradition has been practiced since the time of the historical Buddha. Some monks participate in the Science for Monks program at Dharmsala in India and since 2012 Shechen has hosted a thematic conference in this field. Ceremonies celebrated during the year include drupchens practice. It is a ten-day practice during which monks keep their attention and concentration on the mantra and meditation without interruption nine days and nights. A two-day festival of ritual dances takes place in Shechen every year. Dances are celebrated in the courtyard of the monastery. The mother monastery of Shechen was known for its tradition of ritual cham dance and Rabjam Rinpoche now sustains this tradition here in the Kathmandu Valley. During the year, the monks in Shechen organize public performances and service the spiritual needs of the local community. When Dilgo Khyentse Rinpoche died, his close disciples turned to the eminent lama Trulshik Rinpoche, his very close disciple, to find his incarnation. Trulshik Rinpoche had many dreams and visions that clearly showed the identity of the incarnation. Yangsi is the son of Tsikey Chogling Rinpoche Mingyur Dewaj Dorje – the third incarnation of Chogyur Dechen Lingpa and Dechen Paldron. 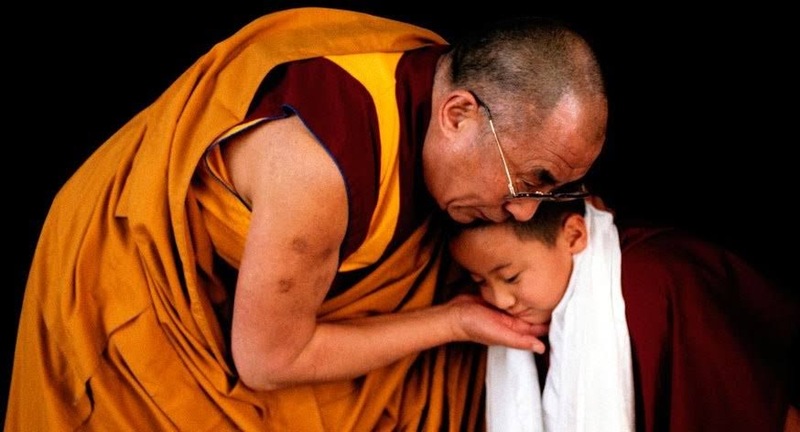 His Holiness the Dalai Lama has confirmed that the child is tulku, or the conscious incarnation of Dilgo Khyentse Rinpoche. In December 1995, Trulshik Rinpoche celebrated the name-giving ceremony – Ugyen Tenzin Jigme Lhundrup – and the monk’s robe with a young tulku. Currently, Khyentse Yangsi Rinpoche, Dilgo Khyentse’s reincarnation, leads all the most important ceremonies in the Sechen tradition. He supervises the work of the Sechen monasteries while Rabjam Rinpoche resides in the longer retreat. Every year he goes to Nepal to attend the Tibetan New Year ceremonies at the Shechen Monastery. In Bhutan he also oversees drupchen rituals. He is a very sympathetic and kind young teacher, deeply involved in teaching. The Shechen guesthouse is adjacent to the monastery for visiting tourists and pilgrims, enabling lay people from all over the world to be closer to Buddha’s teachings and participate in everyday rituals.